When the Internet of Things first began infiltrating the commercial cleaning industry, there were initially more theories than practical applications. This inevitably meant industry members had more questions than answers. How can these connected cleaning products benefit end users? What sort of technical knowledge will be necessary to operate these products and analyze the data? What products made the most sense to connect to the Internet of Things? Since then, the answers have been trickling in: a lot, depending on how deep an end user wants to dive; not as much as one might think, at least initially; and almost anything imaginable. 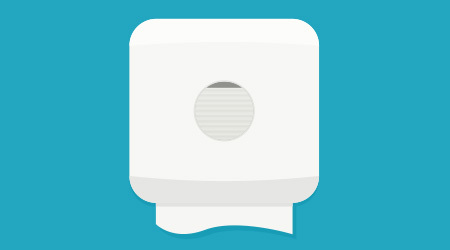 End users are finding that IoT can help them locate missing floor machines, monitor machine runtime during a janitor’s shift, view the fill levels and battery levels of individual restroom dispensers, measure hand hygiene compliance for an area of a facility or even a specific room, receive alerts when waste receptacles are full, and more. Most frontline janitors won’t have much of a problem utilizing these listed features, although most end users aren’t yet digging as deep into the data as might be beneficial. Later possibilities include altering cleaning procedures or reconsidering staff levels based on IoT statistical analysis. And manufacturers have now found ways to “connect” more than just floor machines and restroom dispensers. 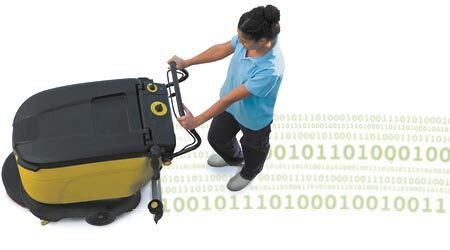 Everything from vacuums to chemical dilutions systems to housekeeping carts is now in play. For jan/san distributors, however, the most important question surrounding IoT has long been one of their own involvement. Well, what’s becoming increasingly clear is that distributors that bet early on IoT-enabled products are beginning to reap the benefits.